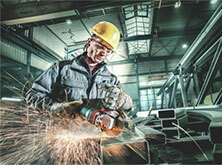 Less wear - reduced costs. You define the limit with our angle grinders - not your machine. 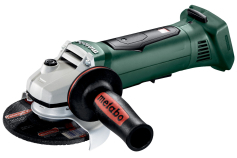 With devices from 720 to 1,700 Watt and for disc diameter from 100 to 150 mm, Metabo offers the right system solution for every requirement and every application - including matching accessories. 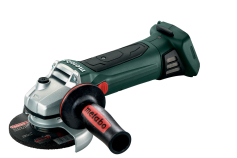 Thanks to the extremely powerful, patent-pending Metabo Marathon motor and an innovative ventilation concept you can work with our angle grinders in almost all situations without interruptions. 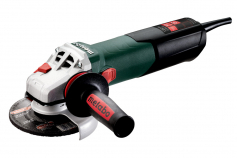 No matter how you challenge the devices: Our powerful angle grinders are unbeatable in terms of robustness, overload capacity and productivity. 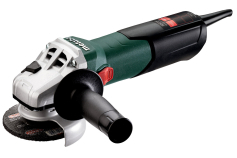 At the same time they impress with a small handle circumference and excellent device geometry. Even safety has top priority: Almost all our compact models have the mechanical S-automatic safety clutch proven since 1966, which decouples the motor without time delay when the disc jams. We thus offer the most reliable anti-kick-back system on the market, which reduces kickbacks to an absolute minimum. 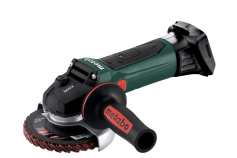 We also offer our angle grinders from 1,250 to 1,700 watt with a combination of paddle switch with dead man function and patented mechnical disc brake: The fastest brake system on the market offers highest user protection and stops the disc after switching off even in case of a power cut in less than two seconds. 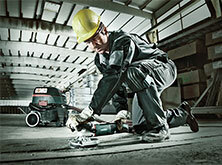 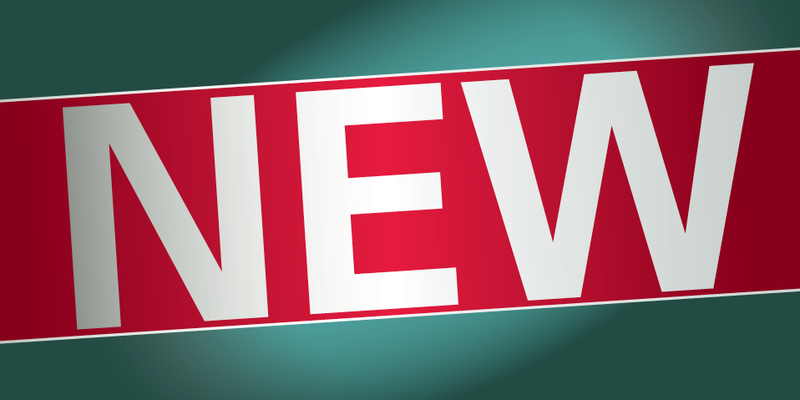 Also from 1,250 watt, some machines are available with integrated Auto-Balancer. 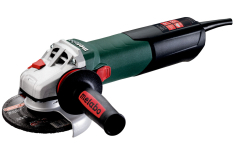 By virtue of this most effective anti-vibration system on the market and the Metabo VibraTech side handle, you can work with Metabo angle grinders for more than eight hours in continuous mode without any problems. Vibrations are reduced to a minimum. 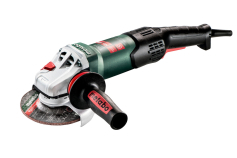 At the same time, roughing discs last up to twice as long due to the lower vibrations. 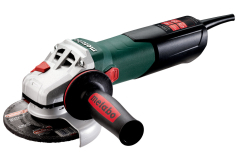 Matching our powerful compact angle grinders, we offer professional accessories for any application: Flap discs, fibre sanding sheets, special Inox sanding media or the high-performance cutting and roughing discs with ceramic abrasive grain of the M-Calibur series ensure optimum results and maximum productivity. 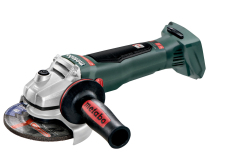 With compact angle grinders of all performance classes and special matched accessories, we offer professionals in industry and trade the perfect system solution for any application - productive, robust, ergonomic and safe.